I started cooking when I was pretty little. My mom believed we all should be able to cook (including my 4 older brothers), and it turns out – we are! When we get together, it’s often going to be around some good meal – cooking and eating together is a great way to connect and to create memories. We’ve created a lot of them over the years. Connecting is what happened with this blog. A great friend of mine got me started on this journey. Teri had been blogging and cooking with a group making artisan breads. Our other book club friend Kate, and I started following her online. Well, fast forward past a wedding and a baby, and Teri didn’t have quite so much time. She did, however, remain a fabulous cook. 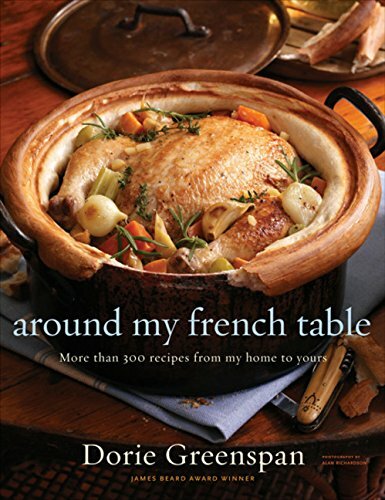 One book club Sunday we met at her house, and she served up a Butternut Squash Galette – and very slyly mentioned ~ “there’s a new blogging group starting that will cook through this book” Around My French Table – and so it all began. That tart – amazing. I was hooked. Many years, many recipes, and some wonderful virtual and in-person friendships later, here we are. To be honest, I’m not the biggest French food fanatic. I am, however a very big Dorie Greenspan fan as she is incredibly lovely and generous (and I’m still jealous of all of my friends who have met her in person). I’ve enjoyed the experience, and am looking forward to her new book that we will be cooking through next. I’m not as dedicated a blogger, nor nearly as talented a writer as some of my friends, but for sure, this has been, and I’m sure will be, a wonderful adventure, and a great way to connect in this 21st century while honoring the roots of home, family, friends and sharing the table. 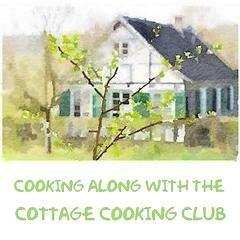 More information on our current group can be found at cookthebookfridays.